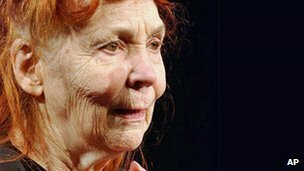 Renowned poet Ruth Stone dies in Vermont at 96. She made her maiden debut in 1959, the year her husband poet Walter Stone committed suicide. She had been honoured by National Book Critics Circle award, two Guggenheim Fellowships and a Whiting Award. She was named as a Pulitzer Prize finalist in 2009 for What Love Comes To.